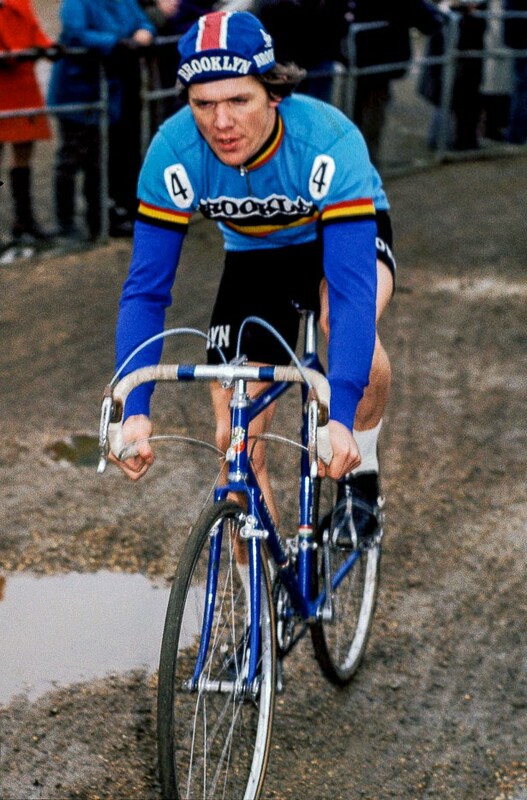 If you hadn't recognised the man, well obviously Roger De Vlaeminck in his world champions cyclo cross jersey ahead of Cyrille Guimard. 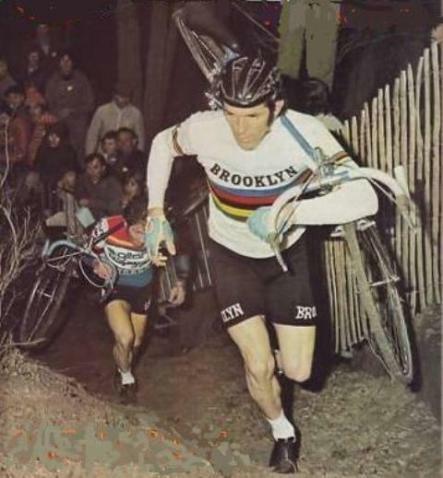 Of course both riders were as good in the mud as they were on the road although in Guimard's case his career was cut short due to a really bad problem with his knees. 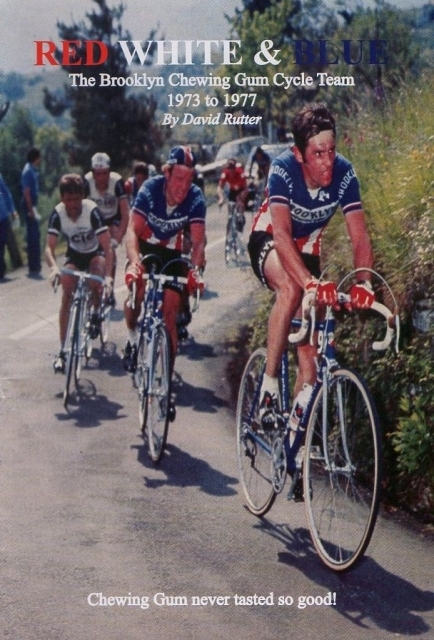 This hard bound book written by me a number of years ago, comprehensively reporting upon the team's racing as well as the two main stage races that it entered ie The Tour of Italy - the Giro- five reports as well as the two years that they also entered The Tour de France, ironically being decisive in obtaining the green points jersey - Patrick Sercu in 1974, and then the King of the Mountains jersey - Giancarlo Bellini in 1976. See below about the present republication of the book. 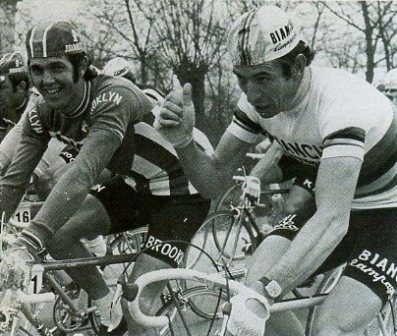 Above, Roger De Vlaeminck shares a joke with Felice Gimondi who had some months earlier won the world professional road race championship. 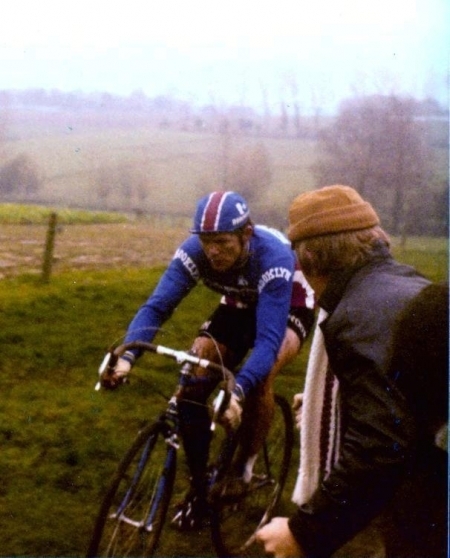 On the left ; A memorial time and year for not only Eric De Vlaeminck who is obviously wearing the Brooklyn hat etc in a picture taken from the World Cyclo Cross championships at Crystal Palace in 1973 when he went on to win the race, but also for me as I was marshalling there on the day. 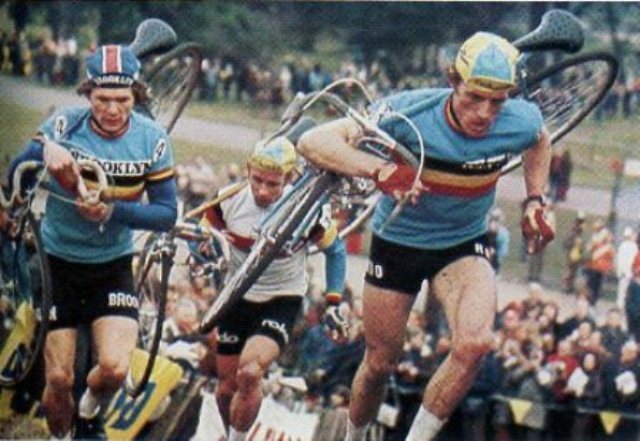 Other riders, leading, Albert Van Damme and behind Rolf Wolfshohl. 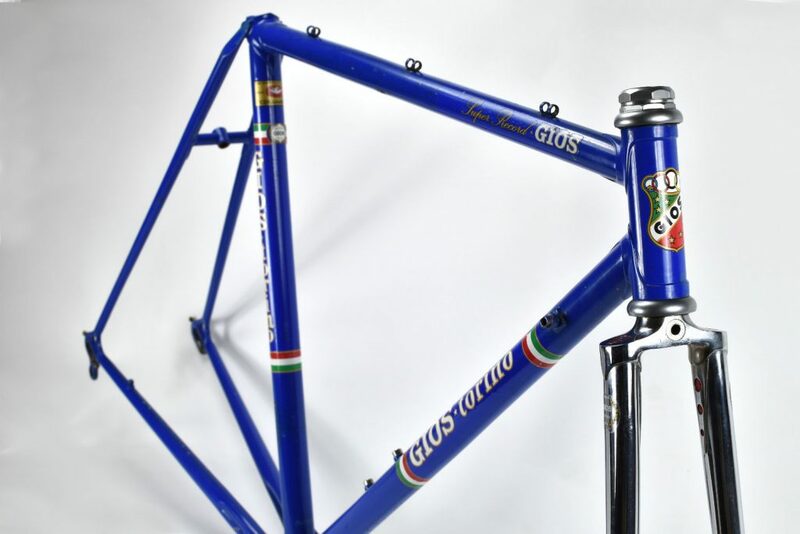 Above ; the classic GIOS - Torino bike as of course ridden by the Brooklyn team and as always came in one colour - blue with nice touches of red on parts of the chainset etc, fully Campagnolo through out - totally Italian. 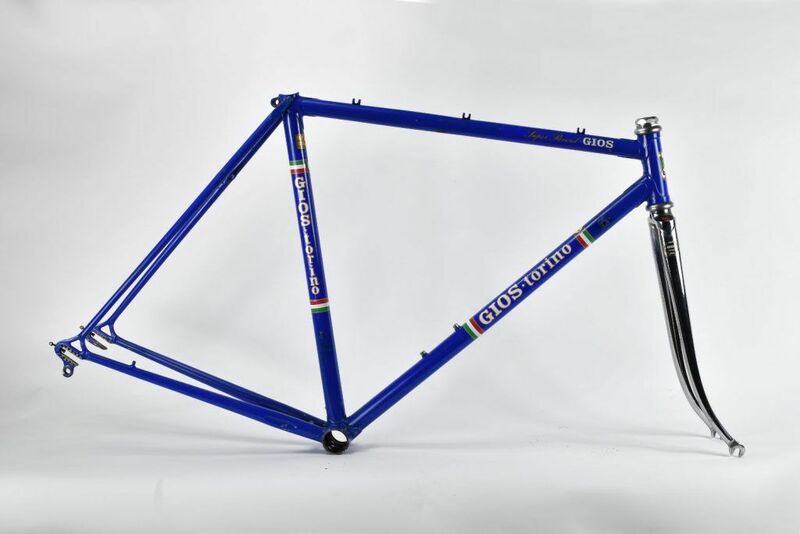 Now of course Gios produce their own upto date retro bike. Above three images; nostagia at it's highest? 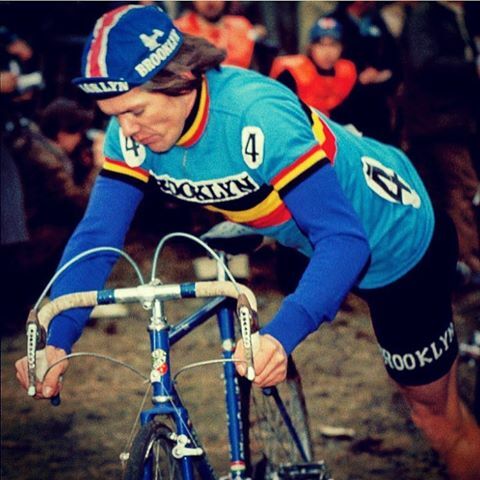 Eric de Vlaeminck seven times World Professional Cyclo Cross Champion, top rider, top bikes, top team, and top jersey! Somehow getting older, some of us yearn for the pages to be turned back, hopefully my book helps? 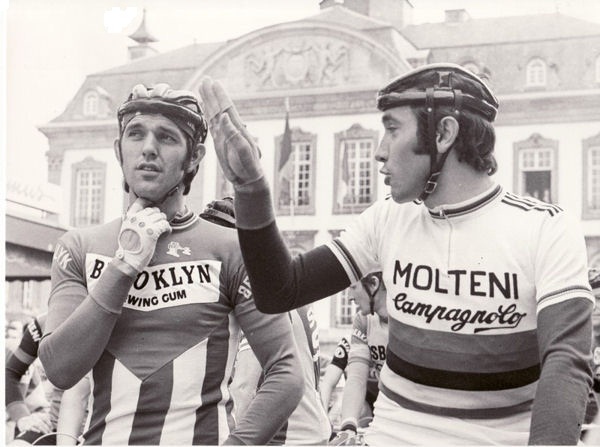 Above,Roger De Vlaeminck and Eddy Merckx, start of another day at the "Office". 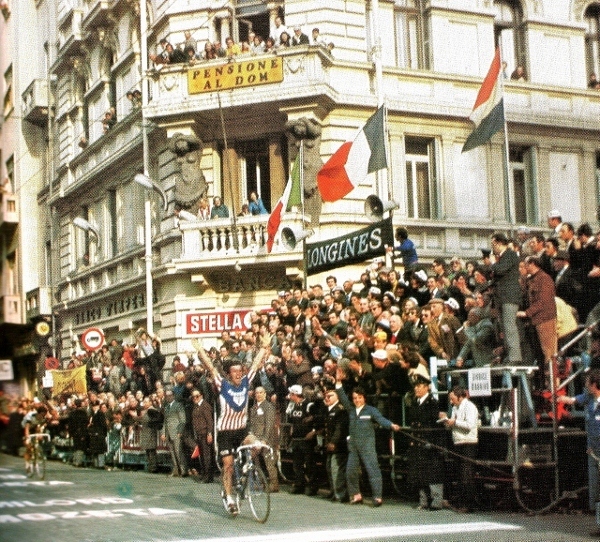 Far right; Wladimiro Panizza wins the Milan Turin road race. 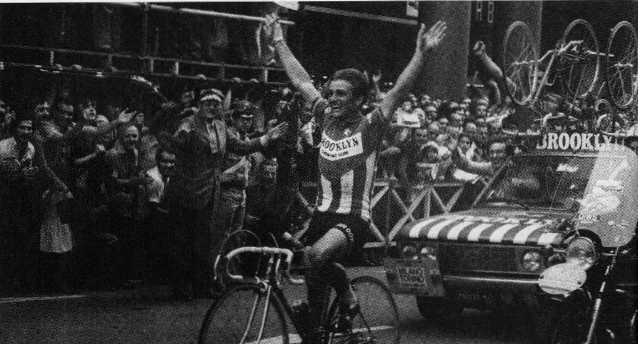 Above image showing Roger de Vlaeminck in the old style Brooklyn jersey winning the 1973 Milan San Remo classic, while above right shows what followed - ironically of course this is a new retro one. 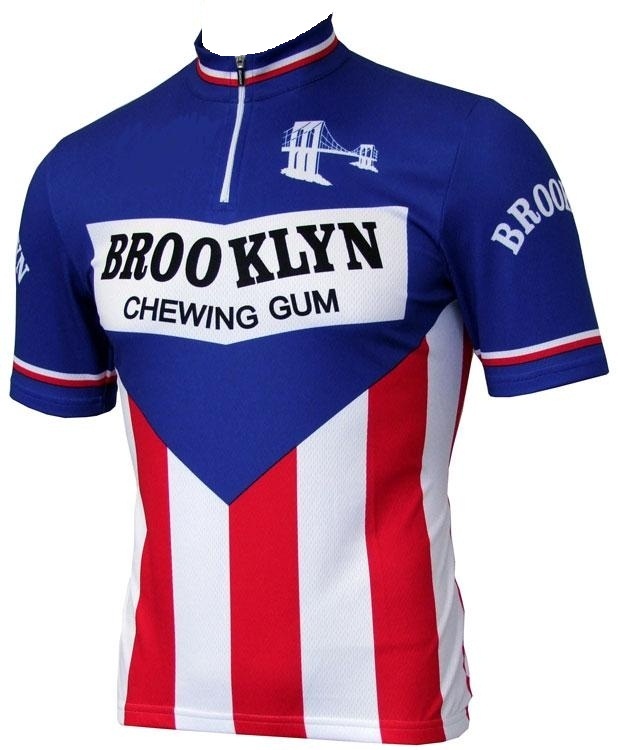 RED WHITE & BLUE The Brooklyn Chewing Gum Cycle Team 1973 to 1977 hardbound book has been republished by me. It is now 322 pages in total. Cover the same, the text in black, the images either in grayscale or colour. British royal in size, priced @ £40.00 RRP(including UK postage). A retro souvenir of the past. 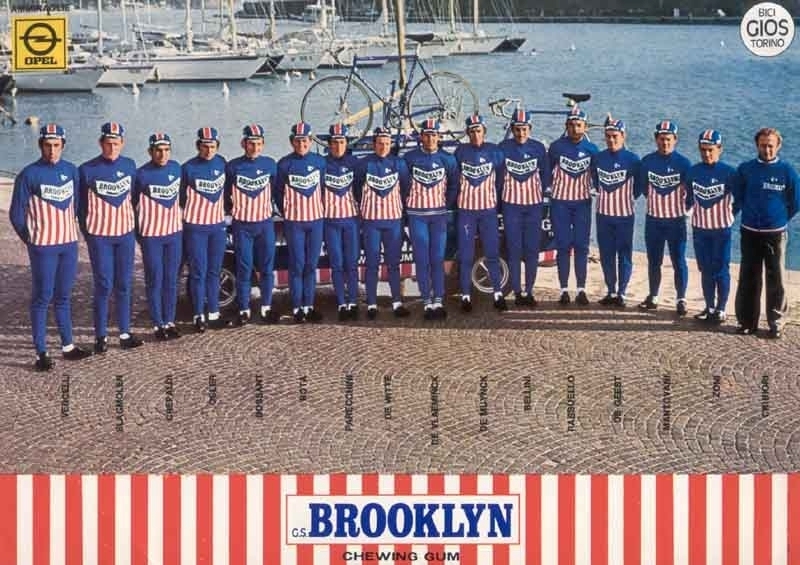 To read and look at the pictures of not only the majority of the Brooklyn riders but a few of the main riders of that era as well. If you wish to purchase please go to the contact page for details of my email address. I send worldwide, so don't worry! 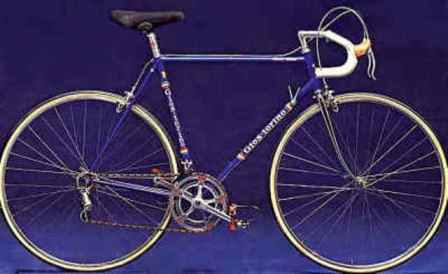 Left and right; A recent acquision on my part - in my attempt now to fully promote my republication of RED WHITE & BLUE, I looked everywhere for the nearest concerning a bike or frame at what one could call a "reasonable price". Ironically perhaps, in me enquiring about another frame that didn't quite "fit the picture", I was told by the seller he had this which wasn't yet advertised! Need I say more! 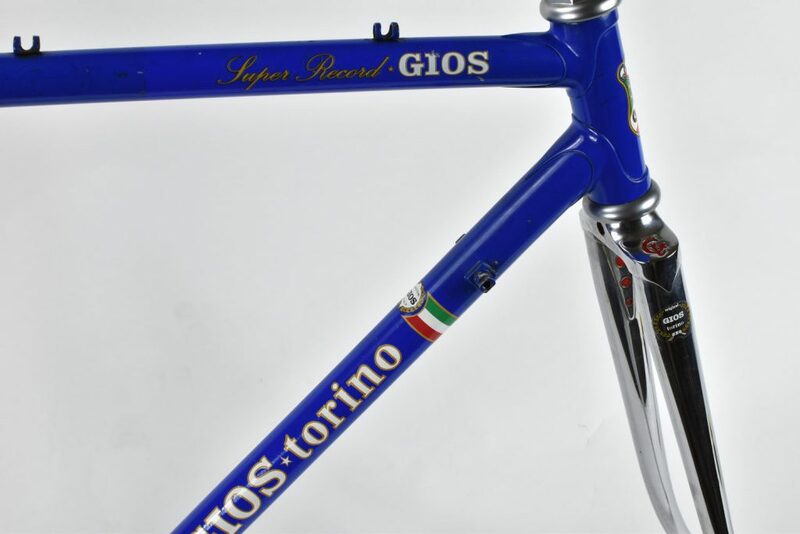 These images showing one of the 1st generation GIOS - Torino frames from the 1970s, now in my ownership. 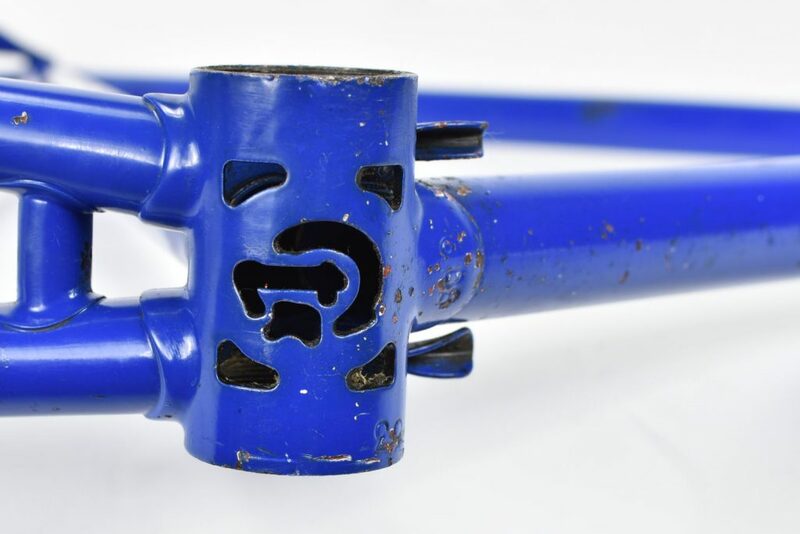 Obviously, "slightly" worse for wear, hence looking at the bottom bracket, I don't imagine this has actually been resprayed, especially noting the stone chips inside the rear stays. A former owner has "attempted" to touch up the odd mark where the paint has been caught, but would have been better to leave alone!